For September’s booky Q&A we were lucky enough to chat to the fantastic Isabel Sánchez Vegara. Isabel is the creator of the inspiring Little People Big Dreams series celebrating little girls with dreams who became women with great vision. From designers and artists to scientists, all of the people in this revolutionary series went on to achieve incredible things, yet all of them began life as a little child with a dream. The three latest in the series, Anne Frank, Mother Teresa and Josephine Baker have just been published by Quarto. Can you tell us a bit more about the Little People Big Dreams series and why you think it’s been so successful? Little People, BIG DREAMS is a series of children’s books that celebrate the life of amazing people like Frida Kahlo, Amelia Earhart, Mother Teresa and Marie Curie. They were never intended to be a series just for (and about) girls, however seven years ago this seemed a pretty important place to start! I guess that’s one of the reasons the series has been so successful, because it’s remained relevant all these years. Although I like to think the success of the series really boils down to one main factor: children love to read true stories about other children — like them — achieving great things. It gives them the strength and the courage to believe in themselves. How did you first come up with the idea for the series? The idea first came to me seven years ago, when my twin nieces — Alba and Claudia — were born. Just before that, I had discovered a ton of great children’s books for my oldest nephew Ernest; full of brave, enthusiastic boys ready to conquer the world. But these sorts of books didn’t seem to exist for little girls, and so I thought to myself, wouldn’t it be great to change that? I wanted to show Alba and Claudia some real female characters who had had the determination to believe in their dreams and make these dreams a reality. The women I admired, like Coco Chanel, Josephine Baker and Agatha Christie all came to my mind. Do you have a favourite out of all the books or one that you’re particularly proud of? Each one of them becomes my favourite once it’s finished and sent to print. But I’m especially proud of the one dedicated to Anne Frank. Not just because of Sveta Dorosheva’s amazing illustrations, which are works of art in themselves, but also because bringing Anne’s story to life in a way that was both comprehensible and appropriate to children was a huge challenge. War, genocide and death are tough topics for kids, and I wanted the book to be a gateway text into further discussion with parents, family or friends. If you could have dinner with one of the inspirational women that you’ve featured in the series, who would you choose and why? I’d love to arrange a dinner for three with Mother Teresa and Simone de Beauvoir, then just enjoy my food quietly while I listen to them talking. I’m sure it would be one of the greatest philosophic conversations ever. When you were little, did you always dream of being a writer or did you have other plans? When I was six — after my parents had turned off the light in my room at night — I would keep reading stories under the sheets using a torch until my eyes would hurt. My mother still says that’s why I have to use glasses now. But it’s also the reason I started to dream of being a writer one day. 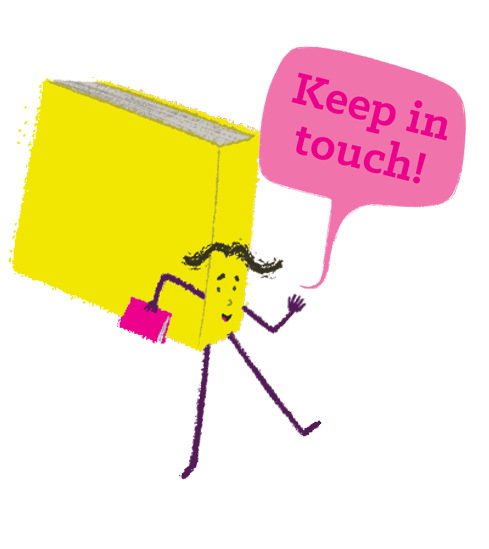 What one piece of advice do you have for any budding young authors/illustrators out there? Make sure you have something to say, and then find a unique way to say it. So we hear that exciting plans are afoot to extend the series and celebrate men who have changed the world. Are you able to tell us who is first to get the Little People Big Dreams treatment? Yes! Little People, BIG DREAMS is a celebration of uniqueness, and that includes boys, too. So, for the next year, the series will keep growing whilst embracing some male figures. The first two are Stephen Hawking and Muhammad Ali. But there are more to come, like Mahatma Gandhi and Rudolf Nureyev, the first male ballet dancer to ever perform in tights!